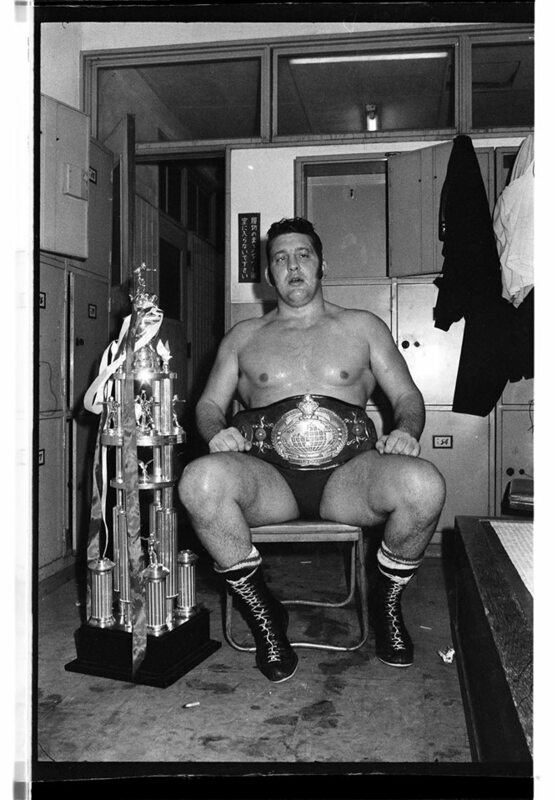 Billy Robinson was born on the 18th September 1938 and became one of the most recognisable wrestlers not only in his native United Kingdom but internationally winning many championships along the way and leaving a legacy in the world of professional wrestling that very few will equal let alone surpass. Like many wrestlers of that era, Billy Robinson started his wrestling career in the amateur ranks and was soon competing at the highest level. In 1957 Billy won his first British Light Heavyweight National Wrestling title and was also runner up in the heavyweight division. One year later in 1958 Billy went on to win the European Open Wrestling Championship in the light heavyweight class beating an olympic medal winner in the final. Many thought that Billy would follow his father in the boxing ring but despite Billy winning amateur titles on a regular basis it was the call of the professional wrestling ring that was to be his next move and which was ultimately to lead him to become one of the worlds greatest heavyweight wrestlers. 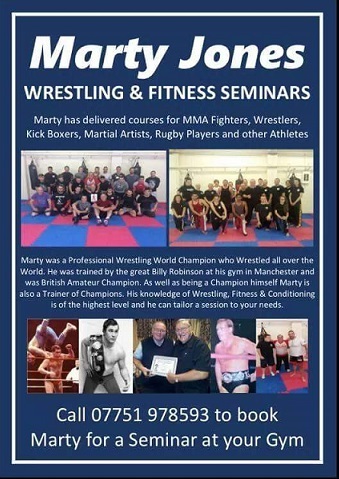 Billy Robinson wanted to be the best and to do that he wanted to be trained by one of the best and so he contacted and was son to become a regular trainee at the infamous Rileys Gym in Wigan, this gym was known worldwide as being one of the best professional wrestling training schools and was nicknamed 'the snake pit' due to its hard and vigorous training regime. Billy was trained by Billy Riley who was a no nonsense hard taskmaster and the snake pit had a far from home from home setting with Riley having no time for anyone who did not want to learn. Robinson learnt very early on that if he was to succeed that he had to knuckle down and learn the wrestling business from the bottom up but this is what he was prepared to do and Billy learnt, albeit the hard way, what it took to become a top professional wrestler. Billy graduated from the Snake Pit in the early 1960s and proceeded to have a very successful career in the UK travelling the length of the country on a nightly basis where he would entertain the fans with what was to become his own style of wrestling It was apparent from the beginning, with opponents including Francis Sullivan, Ray Apollon, Tibor Szakacs and Billy Joyce that Billy Robinson was to become a star. His early matches were mainly in the North of England and Midlands for Wryton, Morrell & Beresford and Relwyskow & Green Promotions. Less than a year after turning professional Norman Morrell introduced Billy to London fans at one of his Lime Grove shows. 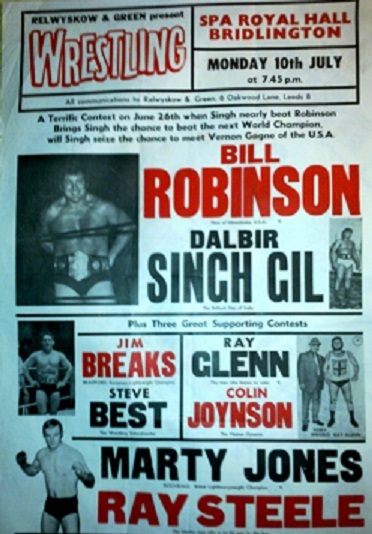 Shortly afterwards Billy was back to the south working for Dale Martin Promotions, and in January 1960 was brought to the attention of fans nationwide when he faced the muscular Canadian heavyweight Sam "Mr Canada" Berg, in a televised contest from Purley.. During the 1960s Billy firmly established himself on the British circuits as one of, is not the best of the best wrestlers around. He was the golden boy of British Heavyweight wrestling and one of a number of those great wrestlers to come out of Wigan. Of his contemporaries (the likes of Geoff Portz, Georgios Gordienko and Billy Joyce) there were few who could beat him and none who could match him technical skill. There was little doubt he would be British Heavyweight Champion before long and indeed he lived up to the expectations when he captured the Title on 18th January 1967 from Billy Joyce and would hold it for slightly over three years before he vacated the title so that he could travel to America. His older rival, Joyce, was also holder of the European heavyweight championship, and a title match between the two of them was arranged for 12th June 1965, once again at Belle Vue, Manchester. Seven rounds into the match a perfectly executed suplex followed by a body press gave the winning fall and the European belt to Billy Robinson. Robinson cemented his championship claim at the beginning of August by successfully defending his newly acquired belt against ex champion Joyce, once again winning in the seventh round. Although Billy made periodic returns to the UK after this time this was to be his last 'run' as British champion or indeed any lengthy spell wrestling in the UK. In 1970 after ten years as a professional wrestler in the UK and Europe, Billy was lured by the bright lights of America where he joined Verne Gagnes American Wrestling Association (AWA). At this time the AWA was one of the biggest wrestling promoters in the world and many of Americas top stars of the day were employed there. Verne Gagne was one of the successful wrestlers of the American promotion known for hiring the "Real Deals" in wrestling. Billy Robinson had a very successful stint in the AWA winning the British Empire Heavyweight Champion which he defended in both the United States and Canada, winning in on 3 separate occasions. Billy also wrestled Verne Gagne and Dory Funk Jnr for the AWA Heavyweight Championship but was unsuccessful in his attempts to win the belt although he did draw both matches. However, Robinson did defeat Gagne in non title matches. Billy Robinson was also a regular visitor to Japan during his career where he became immensely popular as a legitimate wrestler versed in submission holds. He participated in a professional wrestling match against legendary Antonio Inoki in 1975. The match was billed as "The Match Between the World's Top Two Technicians" by the Japanese press. Billy also made his name as a Catch Wrestling icon as along with Karl Gotch he branched out into the world of Mixed Martial Arts. He became a major influence in the "Shoot" style of wrestling and has trained in the UWF Snake Pit as well as training several Mixed Martial Arts legends and was still training new talent up until his untimely death. Billy Robinson retired from the professional in 1992 although his love of the wrestling business never dwindled and he continued to train the young talent of today for many years. Billy unique style and his worldwide fame and experience made him one of the best trainers in the world and many of todays top stars, especially in America, owe a big debt of gratitude to Billy Robinson for the help and assistance that he gave them during the early years of their career. Apart from titles Billy Robinson is a member of the Professional Wrestling Hall of Fame and Museum (class of 2011), Stampede Wrestling Hall of Fame and Wrestling Observer Newsletter Hall of Fame (class of 1996). Sadly, Billy Robinson passed away in his sleep at his home in Little Rock, Arkansas, USA on the 3rd March 2014 aged 75 years of age. Whilst Billy had suffered from some health issues over the last few years his death came as a great loss to everyone who knew him. I would like to go on record and say "he was a superb athlete, that was the product of a great family of wrestlers, and boxers, who took the time to learn the real catch-as-catch-can style of wrestling from the great teachers of the past, and respected their strict code of conduct, be the best, but always be a gentleman, inside and outside the ring, you are an ambassador for your sport, and country, and these ideals that are passed down to you are never for sale. He visited every country in the world including India, and the U.S.A. where big time wrestling took place, and showed them what REAL wrestling was. He exposed the fakes in wrestling, the made champions, and held the promoters to ransom for his services. 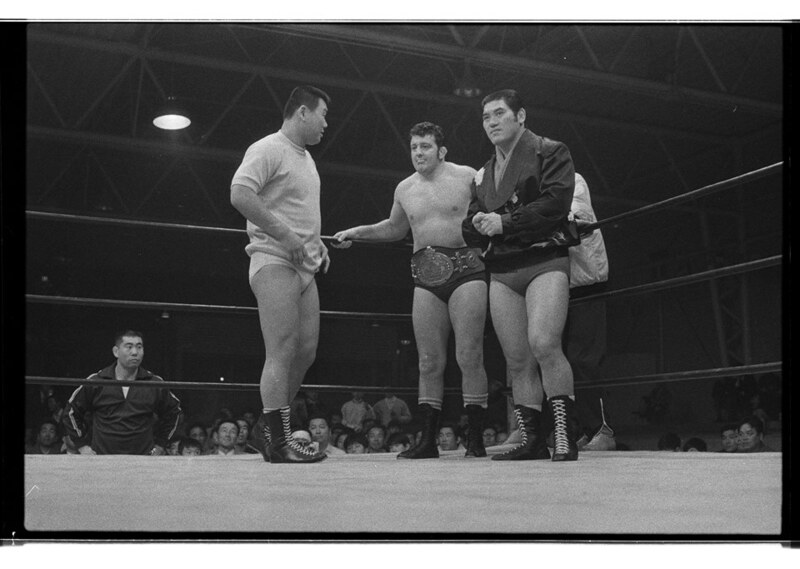 He was respected by the great "shooters" in the business like Lou Thesze, Danny Hodge, Verne Gagne Tony Cecchine, and Karl Gotch, and enjoyed a cult following in Japan where he was revered as the master of catch wrestling. 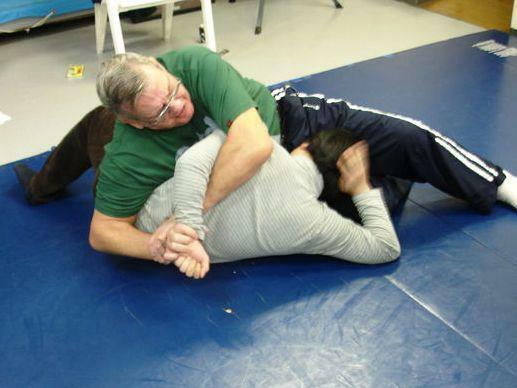 Later in retirement he passed on the skills of the past to all those willing to attend his classes, where he demonstrated the punishing holds and the technical ability required to master catch wrestling. It was his overriding ambition to ensure that catch wrestling was kept alive, and passed on to the youth of today, and for generations of followers in the future. His contribution to catch wrestling will never be forgotten, and the greatest accolade that I can bestow on him is to say he was the only wrestler to take up the baton left with the retirement of the great Bert Assirati". 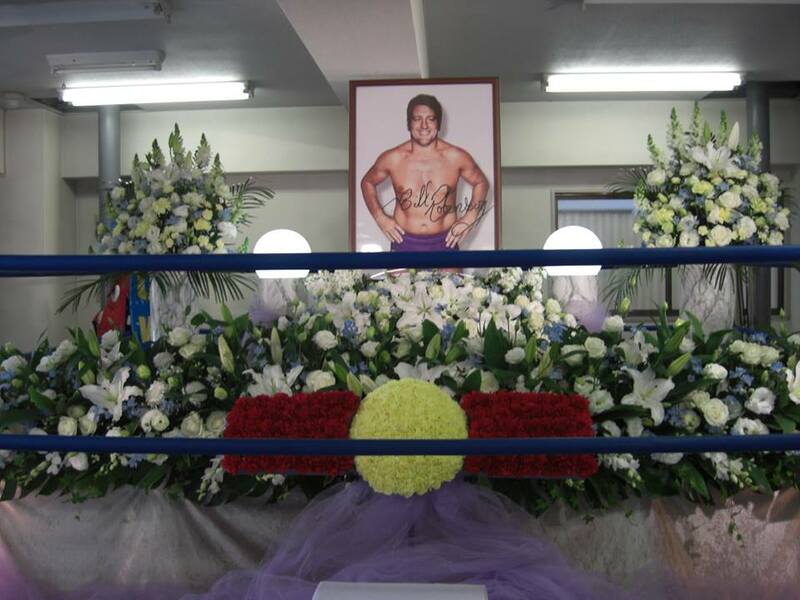 Billy Robinson will always be remembered as one of the greats, his legacy will live on forever and his achievements will be remembered by the wrestling fraternity for many years to come. Billy Robinson has been added to our Dressing Room in the Sky and our Hall of Fame section, an honour which we feel he rightly deserves and this will be our lasting legacy to him.